Autonomous vehicles need to stay in their lanes and if hazardous weather conditions dominate the morning, day or night drive, then the self-driving car will need to have the right tech to cope. US-based WaveSense thinks that it can be a big help in that direction. The company has announced the commercialization of its patented ground-penetrating radar (GPR). It's being pitched as a way to significantly improve navigation safety and precision on any road. The company announced the "commercialization" of its patented WaveSense tech on August 20. 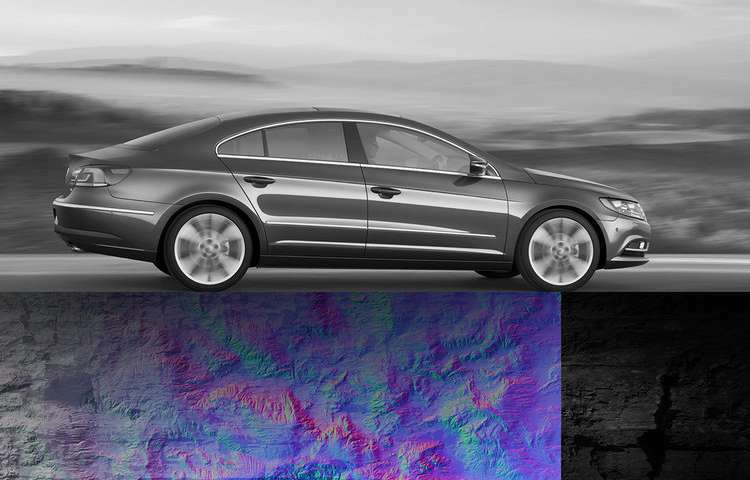 The release said WaveSense's proprietary algorithms determine car's exact location in five-dimensional space. The safety-first optical sensors currently in use show their limitations if they cannot see markings and when the road surface is not visible during snowstorms, fog, heavy rain and dust. WaveSense works day and night. A company slogan is that "When other sensors go blind, WaveSense keeps you safe." Jonathan Gitlin, automotive editor at Ars Technica, said, "Actually, you want more than one kind of sensor, because redundancy is going to be critical if humans are going to trust their lives to robot vehicles." This WaveSense GPR is complementary with current sensor suites. Road & Track quoted the CEO, Tarik Bolat. "We won't always have data—all-steel bridges with no asphalt surface, for example, aren't responsive to this technique—but we view our technology as filling in the gaps that lidar and camera processing can't cover." How this works: Kyle Hyatt of Roadshow wrote that "the WaveSense system will scan up to 10 feet below the surface of the road in order to lock on to stable ground. It can then use this data, combined with data from the vehicle's other onboard sensors, to build itself a map of subterranean features which it can then use to maintain its position on the road." It has demonstrated accuracy at 60 mph. "Wavesense says it can pinpoint a location to within an inch, even at highway speeds," said Wired. Within an inch is where we will need it. "For a robo-car to be able to navigate a city, it needs to know where it is, and where it should be, within an inch or so," remarked Jack Stewart in Wired. WaveSense technology was created by MIT for the military and was used in combat situations. Road & Track referred to it as "war-proven radar tech." Gitlin in Ars Technica said the technology was originally developed by MIT Lincoln Laboratory to detect buried mines and improvised explosive devices for use in self-driving cars. The company release said several pilots were underway with global "players in the automotive and technology sectors and is currently closing a $3M seed round led by Rhapsody Venture Partners." The company is funded by Rhapsody Venture Partners, a Cambridge, MA-based venture fund.